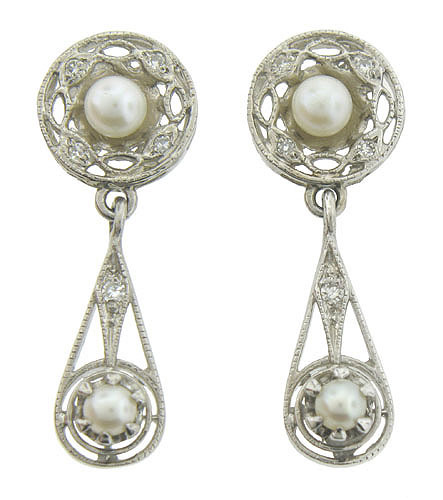 These antique earrings are fashioned of platinum and set with cultured pearls and fine faceted diamonds. Curling filigree and abstract organic cutwork decorate the surface of these romantic earrings. The Art Deco earrings are set on posts and measure 1 1/8" long, 6/16" wide. Circa: 1920.